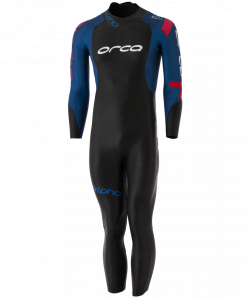 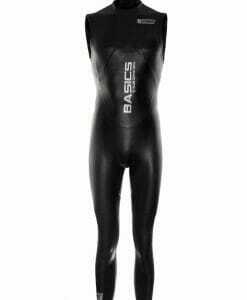 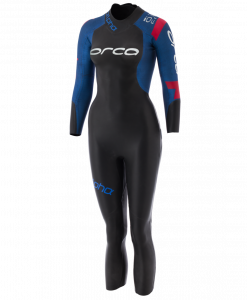 The 2 piece Orca Men’s Swimrun Core is a suit specifically designed for warmer Swimrun competitions. 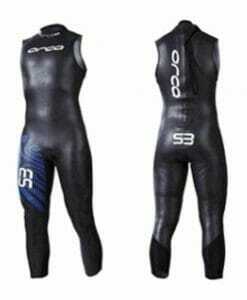 Adapts to the needs of both running and swimming competitions. 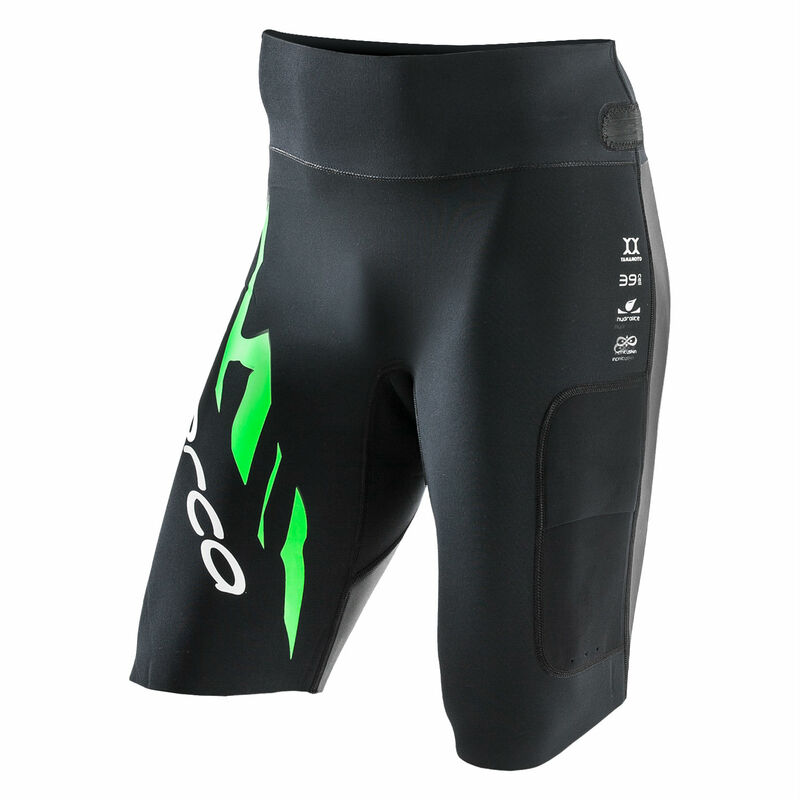 Its two-piece design, fastened together by Velcro, keeps water out while swimming, and allows for easy opening or complete removal during transitions. 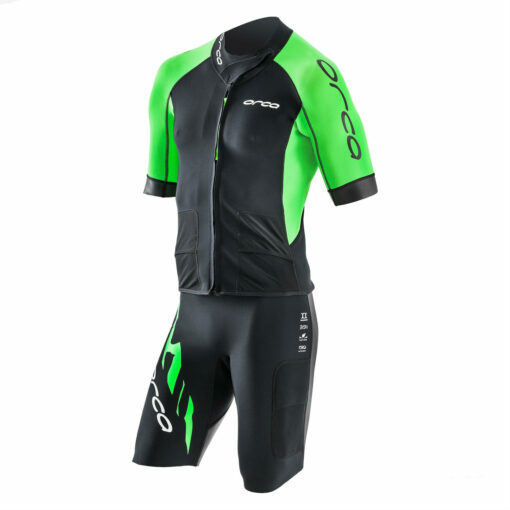 The added plus of buoyancy in the lower trunk keeps your legs on the surface while swimming, without limiting your freedom of movement for the run. 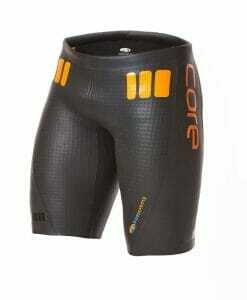 OUTER POCKETS- Convenient outer side pocket of the bottoms lets you store a GPS or any nutrition necessities. 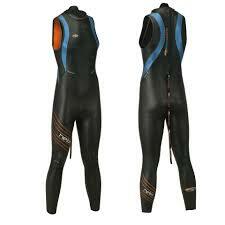 The top includes two outer pockets made of elastic mesh, so you can carry your hand paddles or other accessories. 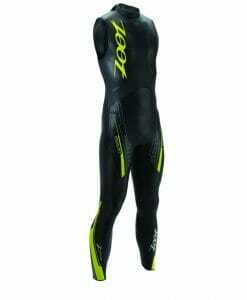 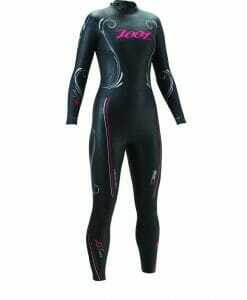 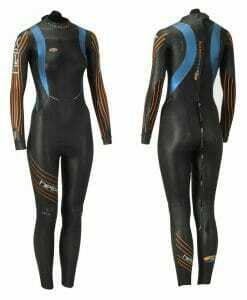 MODULAR DESIGN- This suit can be combined with the Swimrun Arm Sleeves, for extra warmth while you swim. 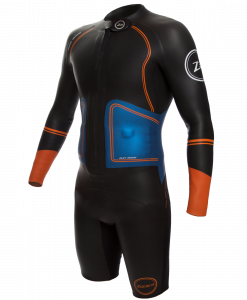 BUILT-IN WHISTLE- The Swimrun Core comes with a mandatory whistle for swimrun races, so it doesn’t get in your way during the competition and can easily be used in an emergency.